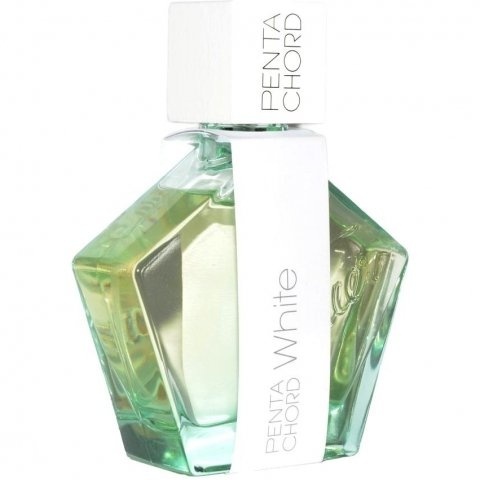 Pentachord White is a perfume by Tauer Perfumes for women and men and was released in 2011. The scent is powdery-sweet. The longevity is above-average. The production was apparently discontinued. The fragrances from the Pentachords line consist of only 5 scent molecules. Pentachord White is like a story, whispered in soft voice to a woman's ear. A woman with golden honey hair, a woman who wears pearls and silk dresses. A woman who pours a bit of milk in her green tea, who preffers her hot chocolate to be white, creamy and with a vanilla scent, and she never drinks it hot. She just wait for it to form a thin film meant to hide the smoldering heat from inside the cup. That's how this perfume is: emotion, voice tremble and sweet taste on the lips. I find Tauer Perfumes Pentachord WHITE initially similar to a nineteenth-century violet perfume, something along the lines of Borsari VIOLETTA DI PARMA. From there a few different rather odd stages are traversed. The smell of old musty books in the cold basement of a library is the first, followed by the smell of what seem to be planks of plywood. The plywood then begins to darken, becoming redder and redder until it is redwood. By the drydown, I smell the Playdoh-ish violet of Christiane Celle CALYPSO VIOLET minglng with the redwood, but mainly it's Playdoh and violet at this point, with much less woodiness. In YouTube there is a video about Pentachords fragrances, in which Andy Tauer tells a lot of things about these 3 Pentachord parfumes. For example, they are really synthetic, Andy Tauer would like to prove, that a fragrance would be good if only it has five notes and the notes are truly synthetic. The more I wear it, the more I love it. Write the first Review for Pentachord White!